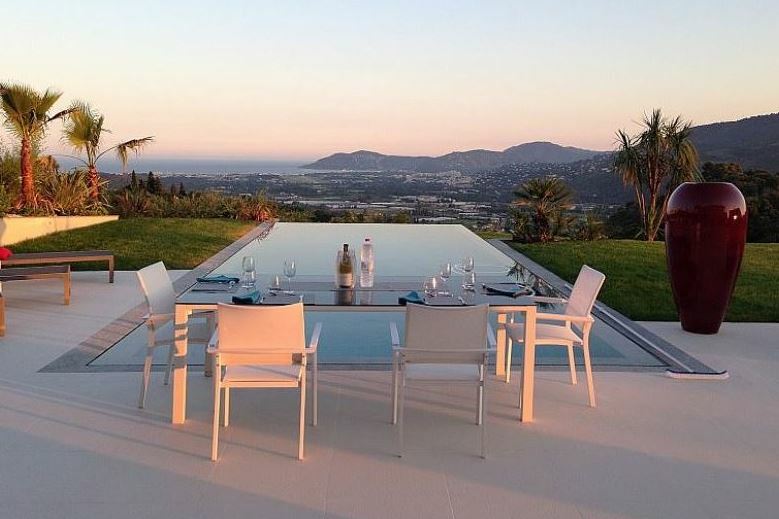 This stunning modern villa is located just 10-minutes from Mougins and is set within a small gated estate. The property boasts panoramic views of the sea and the surrounding countryside. The property is also just 15-minutes from Cannes and 25-minutes from Nice airport making it a fantastic base for a French Riviera retreat. Leading on from the spacious entrance, guests will find a wonderful contemporary living room with high ceilings, floor-to-ceiling windows and gorgeous decor. The dining area and the fitted kitchen can accommodate up to 8 guests with the breakfast bar seating 2. The living areas have access to the extensive terrace area as well as the infinity swimming pool. 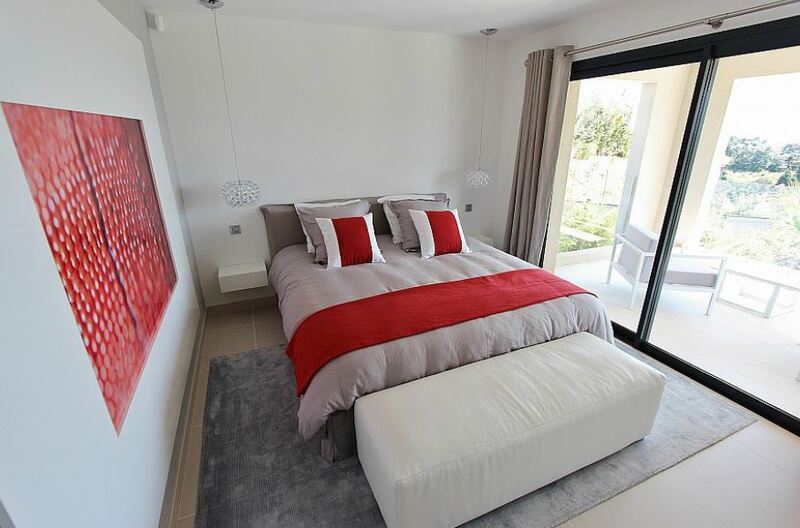 Each of the 4 bedrooms are immaculately decorated with neutral decor and pops of colour. Bathrooms are elegantly designed with walk-in showers and deep bathtubs. The basement of the property is spacious with the option to transform the area into a home cinema, gym or a wine cellar.